Located in the heart of California, we operate in one of the most fertile agricultural regions in the world, and yet our community faces substantial food access and sustainability challenges. Through our Food and Sustainability initiative, our newsroom covers the critical challenges facing the global food system and explores food as the basis of culture, connection, health and community. The CapRadio Garden is an extension of our storytelling initiative. It provides a gathering space for community members, policy makers, educators and students. 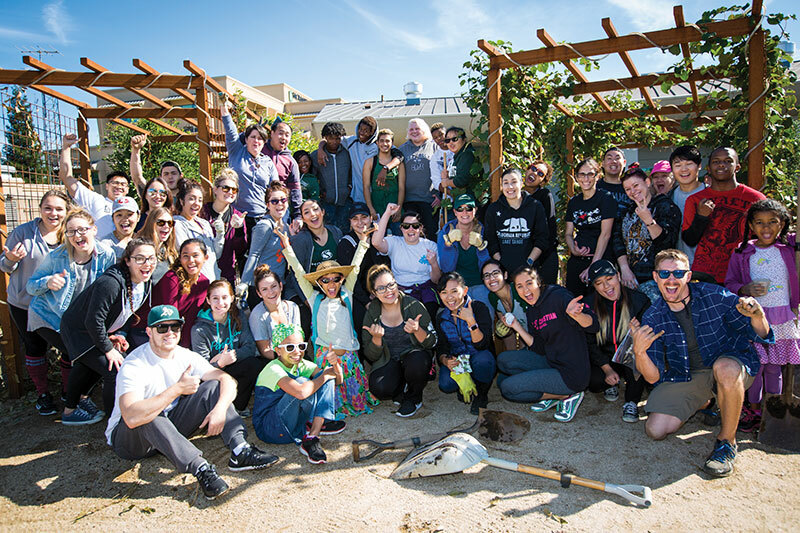 Through hands-on activities, lectures and dialogues, CapRadio furthers the conversation and brings public awareness to the multi-dimensional issues around food. Comprised of raised plant beds, bee hives, fruit trees, a bioswale water run-off capture system, and interpretive signage, our three-quarters of an acre garden demonstrates the major environmental issues driving the national conversation: water, land use, nutrition, conservation and wildlife. Sacramento County Office of Education (SCOE) provides an hourly wage to young adults as part of its work-study program. Students from SCOE's Leo A. Palmiter Jr./Sr. High School maintain the CapRadio Garden 3-5 hours a week. Integrated pest management is an organic way to control or prevent pests by introducing naturally occurring beneficial flowers and predatory insects. Our four bee colonies are a principal educational element. 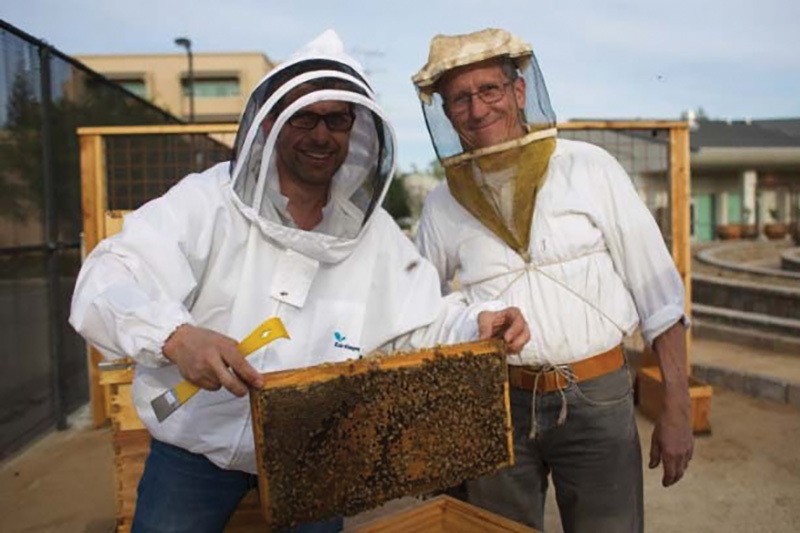 Through a collaborative partnership with Arnia, each hive is equipped with a microphone, webcam and weight scale. The data is used to assess colony behavior and health. We collaborate with local schools to provide experiential learning opportunities for young adults. Students actively maintain the garden and explore lessons in nutrition, cooking, agriculture and ecology. With Sacramento State’s “Closed-Loop Program” we transform organic material and worm castings into reusable mulch and compost. 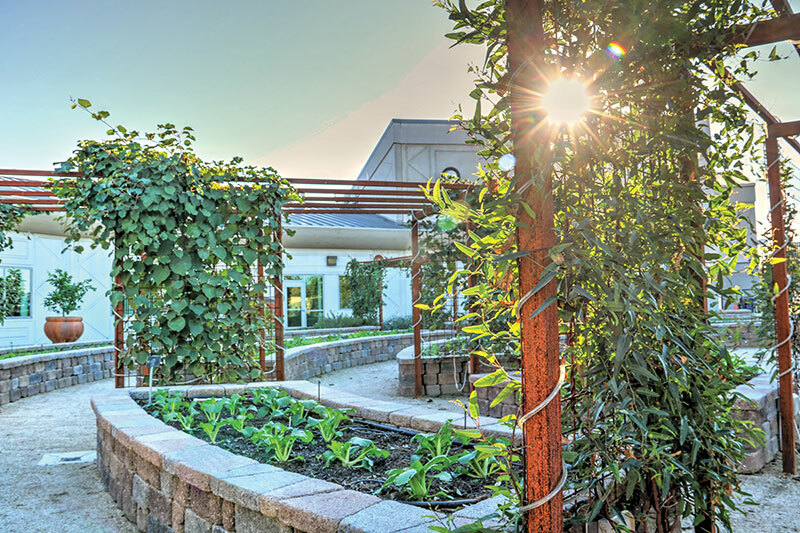 “The CapRadio Garden is a beautiful place to see, feel and taste the miracle of gardening in our incredible region. It also shows how much can be done, in a relatively small space, to feed people who do not have access to fresh fruits and vegetables. Our Garden Council provides expert guidance in agriculture, sustainability, soil restoration, food distribution programs, nurseries and gardening mastery. Charter funding for the CapRadio Garden comes from local, regional and national organizations and individual donors.